Host Erin Harrigan has a heart to heart true conversation with Jen Anderson. 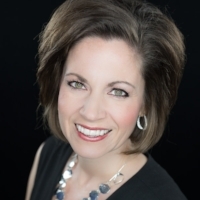 Jennifer has 20+ years' experience in talent development, education, leadership development, sales, and instructional design and training. After close to 10 years as a high school educator, Jennifer ventured into direct sales where she grew and led a multi-million dollar direct sales and leadership team for 11 years. Jennifer Andersen In 2014, she transitioned full-time to coaching and corporate training. Jennifer specializes in training and coaching programs for small and large businesses, non-profits, and educational teams in the areas of Communication, Team Dynamics, Leadership Skills, and Intra and Interpersonal Development, incorporating her background in Energy Leadership and assessment tools such as the Myers-Briggs Type Indicator and Energy Leadership Index Assessment. LISTEN TO PREVIOUS EPISODES OF Hustle with Heart AND MORE PODCAST EPISODES ON THE TRUE CONVERSATIONS NETWORK ABOUT DIVERSE ISSUES FREE ON THE GO FROM YOUR PHONE WITH ITUNES AND STITCHER! She has provided training, workshops, and/or coaching for NAVAIR, as well as government contracting organizations and numerous local government agencies and non profit organizations. Jennifer holds professional coaching certification through iPEC (Institute for Professional Excellence in Coaching) and is ICF (International Coach Federation) credentialed (PCC). She is also a Myers- Briggs Master Practitioner and Energy Leadership Index Master Practitioner and is certified as a COR.E Dynamics Leadership and Transitions Specialist. Her degrees are a Bachelor of Arts (BA) in English with Secondary Education and Master of Science (MS) in Curriculum and Instruction with Supervision Certification. Jennifer resides in Southern Maryland, and when not supporting leaders and teams, she is spending time with "Team Andersen"- her husband, Adam, and 4 amazing children, Aidan (16), Ryan (14), Karianna (11), and Jayce (7).